This thriller, about a young NASA doctor trying to combat a lethal microbe in space, is one of the best I’ve ever read. Dr. Emma Watson is on a mission. Jack McCallum, her husband, was to go as well but he’s grounded due to a medical condition. He can only watch bitterly from the sidelines. Once aboard the space station, however, things go horribly wrong with an experiment involving organisms from the sea. Cells rapidly multiply, infecting the crew. NASA’s attempt to reach them ends in catastrophe as a shuttle crashes crippling the space station. Emma strives to contain the microbe while her husband works frantically to bring her home. Unfortunately, the contagion threatens Earth. The astronauts are left stranded in space, quarantined where they die one by one. Gerritsen also pens the hugely successful Rizzoli and Isles crime series. I wish she’d write more thrillers. 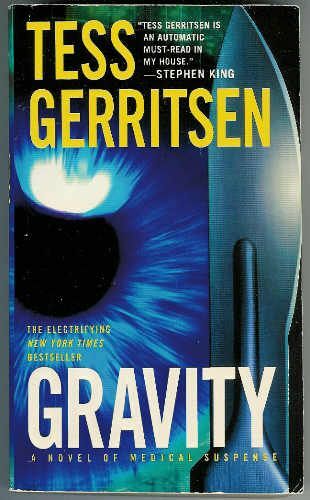 She is currently suing Warner Bros. given that the idea for the movie Gravity was basically stolen from this book. Although the characters are not particularly likable in this book, I am including it because of the strength of the plot and the grandeur of the idea. Amity is a seaside resort on Long Island. One night, a girl is killed in the water by a great white shark. Police Chief Martin Brody orders the beaches closed, but is overruled by the mayor who fears the loss of summer tourism and damage to property values. The attack is hushed up. A few days later, two others are killed. A shark expert, Matt Hooper, is brought in to advise. With beaches open, tourists pour in hoping to see the great white. Brody sets up patrols to watch for it. 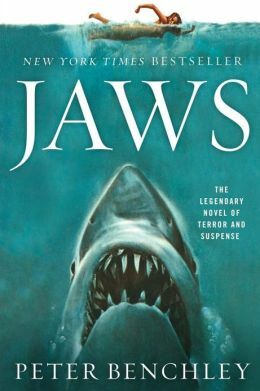 After the shark almost kills again, Brody hires Quint, a professional shark hunter. Brody, Quint and Hooper set out to kill the shark. After Quint fails to harpoon it, Hooper tries to kill it from an underwater cage. It’s a fight to the death for the three men and the shark. Only one survives. I love a good thriller and my list of best books wouldn’t be complete without including the amazing Douglas Preston. 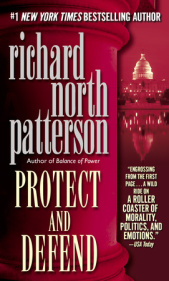 I chose this one, but I enjoy all of his books, including the Pendergast series (Relic, Reliquary, etc.) which he pens with co-author Lincoln Child. 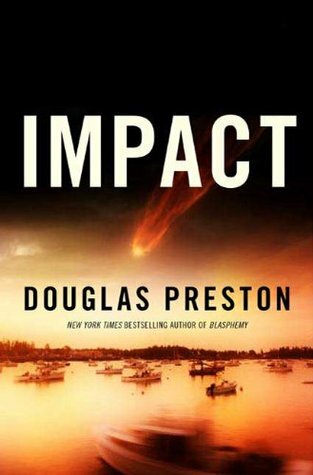 In Impact, Wyman Ford, a protagonist Preston has used before, returns to look into a mysterious source of gemstones. Instead, he uncovers something unexpected. As Ford investigates, a scientist discovers unusual gamma ray activity on Mars, and a waitress treks into islands off the coast of Maine to find a meteor strike thought to have gone down in the ocean. Eventually, all three plots are interwoven and lead to a stunning discovery that could decide the future of our planet. My love affair with Michael Crichton began with this book about an interstellar organism that wipes out a town and threatens the entire human race. A team of scientists gather in an underground facility to grapple with the mysterious bacteria to decide the process by which Andromeda kills and hopefully to find a cure. I adore Crichton’s books Disclosure, Jurassic Park and Jurassic Park’s sequel, The Lost World, as well. In fact, the last 75 pages of The Lost World provide a master class in pacing. They might be the most exciting thing I’ve ever read. Wow! 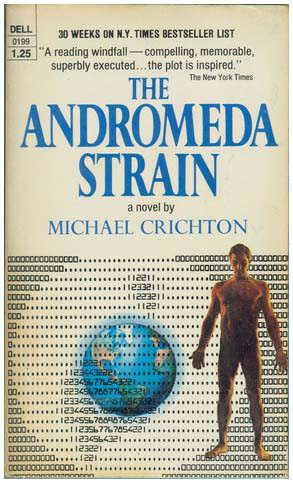 But I do love my epics and The Andromeda Strain, Crichton’s first book, while wordy has a richness that some of his later books lack. In any case, Crichton was the first author to marry science with fiction to create the modern thriller. Extremely detailed, well-crafted book, with lots of interesting sub plots, that mesh together beautifully. A Russian submarine captain, and certain members of his crew want to defect to the United States. 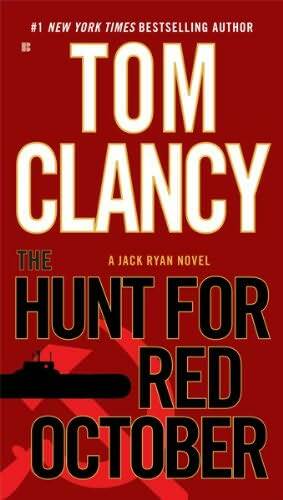 A young CIA operative, Jack Ryan, figures out what the captain is planning to do, and moves mountains to help him because the captain brings with him a top-secret, Russian missile submarine. Although parts of the narrative are pretty technical as the author delves into long descriptions of military gadgetry, the plot is so well-designed and exciting, it doesn’t detract from the narrative in the least. Superb thriller about a subterranean labyrinth containing wondrous riches and unseen dangers that could doom humanity. A team of investigators goes underground after another group of specialists fail to reappear. This is an action-packed, suspenseful adventure story in a well-imagined setting. What sets it apart is the rich, evocative writing that makes the reader part of the investigative team. 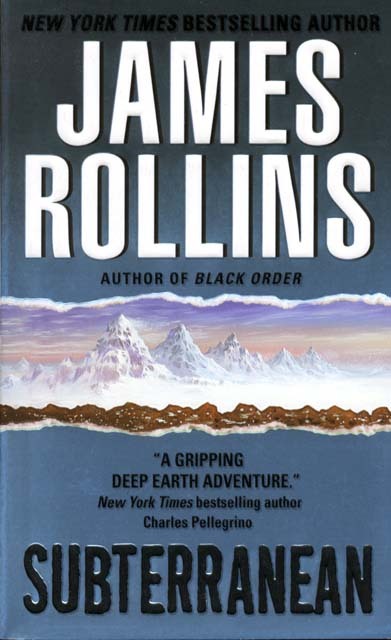 Bravo Mr. Rollins!